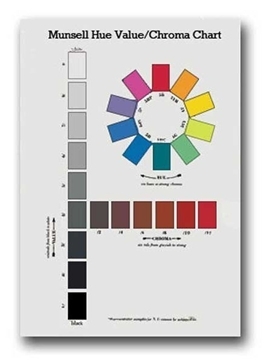 The Munsell Color Tree is a three-dimensional model that helps visually explain the Munsell color space. 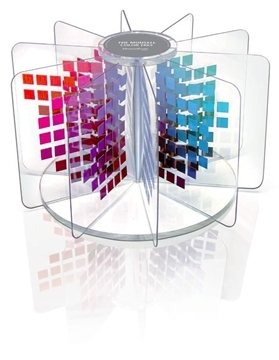 It features 309 colors mounted on clear panels and assembled on a base. This allows you to spin the tree and see the relationships between the colors. The Munsell System at a glance, this poster-sized 173 x 64cm(25" x 38") wall chart displays the Munsell System- featuring the 10-step hue circle, 8-step grey scale, and 6-step red chroma scaled- for all trainees and staff to see. 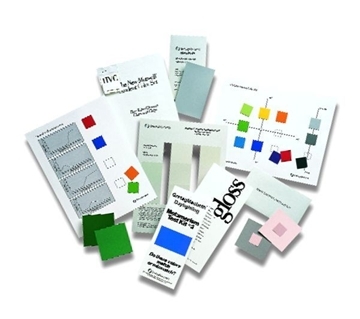 The Fundamentals of Color Interactive Student Set makes color come alive.